I didn't take pictures for a tutorial because Instructables totally took care of that. But here is a little explanation of what we did. 3. Get out your tablespoons! 4. Dump all the tablespoons of ingredients into the mug. We are soooo having those for dinner. Ummm I mean dessert. Yea, that's right. Very yummy.. although i messed the recipe up - i added too much cocoa. Cute post, lovely pictures. Perfection! Yes it's fun, but does it TASTE any good?!? And really, could your daughter get any cuter? That hat is awesome. Christianne, it tasted good, but ours went hard after it cooled a bit. We tried the "fudgey" omit-the-egg version though- maybe it would be better to try the cake-ier version, with egg. Yum! 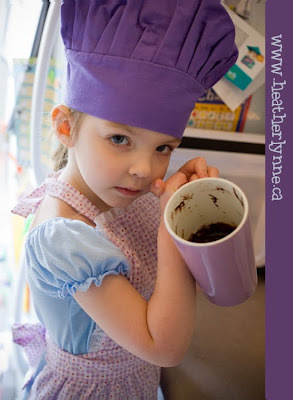 I love your little chef and her purple hat! Thanks for linking to Show and Tell! I don't love chocolate cake, so I make a different version. 2.3 cup yellow cake mix, 1/3 cup water and 1/2 cup frozen blueberries. Mix together and put in a microwave save bowl. 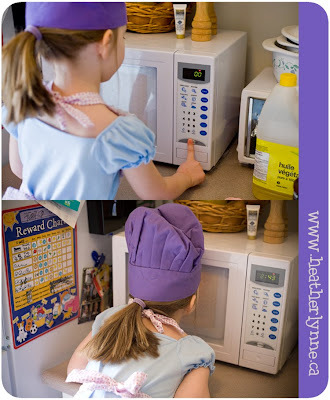 Microwave for 90ish seconds or until done. Delish!! 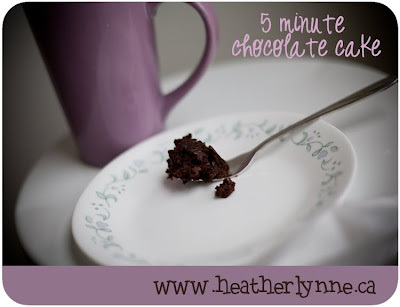 Thanks for linking this up to my Messy Monday party. I can't wait to see what you post next week! 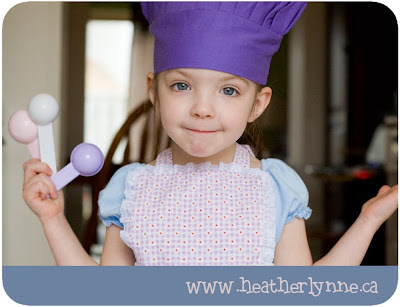 I LOVE the purple chef hat! My daughter would love it!